4 Acre Mini Farm located just 5 mins west of Univ of West GA! 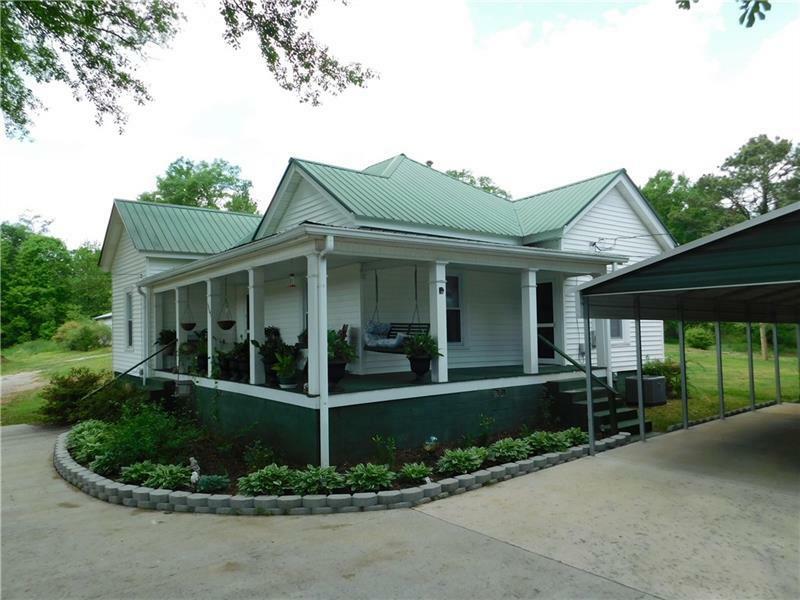 Circa 1911 this Farmhouse is full of character w/Shiplap Wood interior Walls, 10' Interior ceilings, large BR's, metal roof & wrap around porch, & back! There is also a newer 24'x52' ft detached garage workshop, lg 4 vehicle covered carport awning/ new driveway/energy efficient thermal pane windows/updated Heat & Air*On county water w/well water avail*Garden areas or potential pasture area for your farm animals-bring your goats/cows or horses*Old Chicken coop too*Ready for your Chip & Joanna enhancement.